We have designed the Retail Insights solution for enhanced navigation to help dramatically reduce the time it takes to access your vital data and significantly reduce the stress you feel when you don’t know what’s happening in your business. 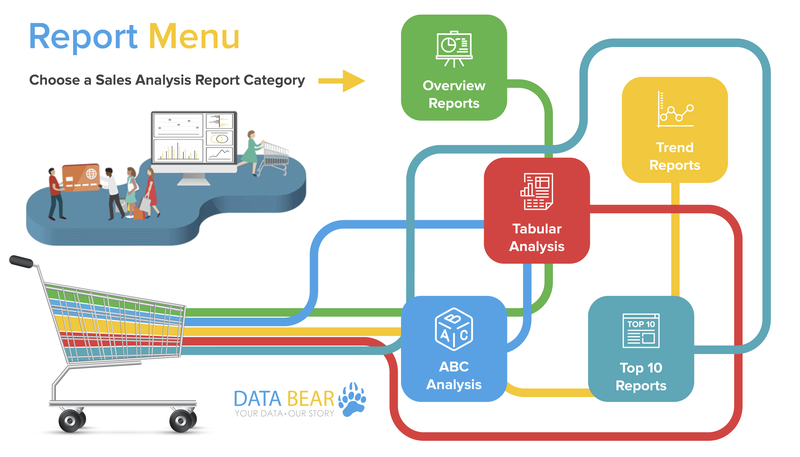 When on the ‘Report Menu’ page, simply click on the report category you wish to analyze and you’ll automatically be directed to the page containing all the reports within that category. Allowing you to ask specific questions of your data, all your essential retail insights have been consolidated into various dynamic reports.